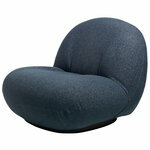 Pierre Paulin (1927-2009) was a French designer who became known as a pioneer of modern furniture design. Paulin created a vast collection of modernist chairs that were characterized by organic forms and strong colours. Paulin’s work was often influenced by Japanese and Scandinavian design and Charles and Ray Eames’ style. At the beginning of his career, Paulin experimented with ceramics, sculpture, as well as automobile design. 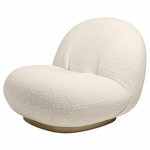 Today, the family business Paulin, Paulin, Paulin continues to preserve and develop Pierre Paulin's work.